Wouldn’t it be cool to travel the world like a TV chef? Like Anthony Bourdain, or that guy on the Travel Channel who eats weird food? OK maybe not him. But Bourdain, he has it all — not only does he get to dine at the world’s most exquisite and exclusive restaurants, he gets to experience the food and the culture from the very people who carry on their country’s culinary traditions. Now, thanks to the sharing economy, and sites like Traveling Spoon, you, too, can travel like an irreverent chef. Much like Airbnb, Traveling Spoon connects users with hosts abroad — but instead of a bed, you get a home-cooked meal. The concept is the brainchild of two passionate travelers and food lovers. And the origin story: co-founder Steph Lawrence’s 2007 family vacation to China. She yearned to break through the tourist trap offerings — the big, gleaming hotels and restaurants catering to Western travelers. Instead, she felt disconnected from the culture she had traveled so far to experience. Two years later, determined to immerse herself in that culture, she moved to Beijing. “I wanted to explore the culture through food. I wanted to find a Chinese grandmother … I wanted to learn her recipes,” she said. But even as a resident, she struggled to make those connections. So she mapped out a business plan, registered the URL and moved back to the states. 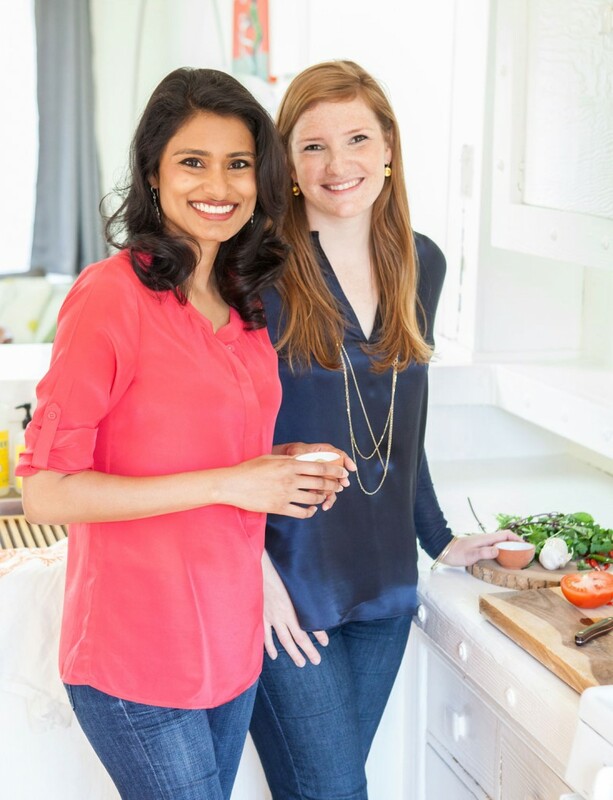 It wasn’t until 2011 when she was in her first week of business school that she met fellow food lover Aashi Vel, and the two put the plan into action, launching Traveling Spoon in 2013 in just a few cities in India, Thailand and Vietnam. Today, 200 host chefs participate in 18 countries. Just last week the site launched in Mexico, adding hosts in Puebla, Puerto Morelos and the capital Mexico City. So now you can experience abuela’s mole and arroz con leche. 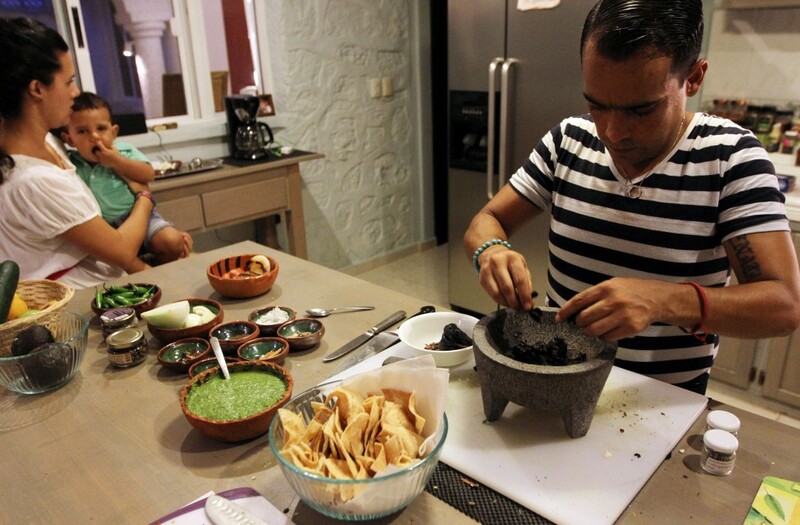 Or a chef’s family recipe for chiles en nogada, which is one of Salvador Fernández’s specialty, especially if you visit him in the fall, around the time of Mexico’s Independence, as I did. 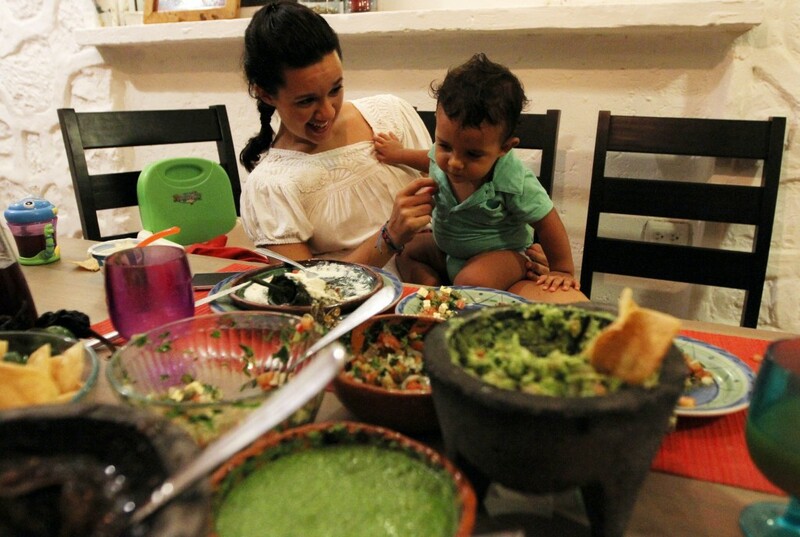 I joined Fernández, who is one of Traveling Spoon’s newest hosts, for a meal of this special dish, accompanied by a traditional cactus salad and an array of salsas about as colorful and rich as Mexico itself. Each of the dishes Fernández prepares comes with a story. Chiles en nogada comes with the legacy of Mexican history and pride: the dish was created by the Augustinian nuns of Puebla to celebrate General Augustin Iturbide, who led the country’s fight for independence from Spain. Lawrence said these are the best travel experiences, when visitors can engage and interact with locals in their own homes. Her goal is to facilitate these encounters. The cost per person is more than a typical meal in a local upscale restaurant — I paid $120 for a meal and a cooking class with Fernández. But remember, you’re also paying for the experience. Each host gets vetted through an application process, video interviews, and in-home visits. At first co-founders Lawrence and Vel personally vetted cooks. Now they utilize a team of “ambassadors,” like expats, travelers, food bloggers, who make in-home visits in exchange for a free meal. What they’re looking for? A love of their food and love of sharing culture with others. 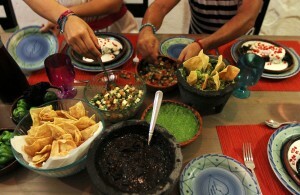 Other hosts want to practice English, she said, or are empty nesters and want to share their hospitality with others. For chef Fernández, it was clear from the feast he prepared for me. Editor’s note: This story has been updated to reflect the latest number of host chefs and countries: 200 hosts in 18 countries. Margaret Myers is the former Digital News Editor for PBS NewsHour. She is a former editor for ESPN.com. She also led the features department at the Amarillo Globe-News in west Texas.